Oval57`s little son Iver is already into old beetles. He was smiling when he heard the nice sound of the horn. 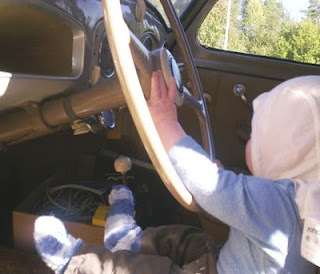 One day he will be a passenger in this split, if his father install seatbelts. How the hell is she going to kick the accelerator..?